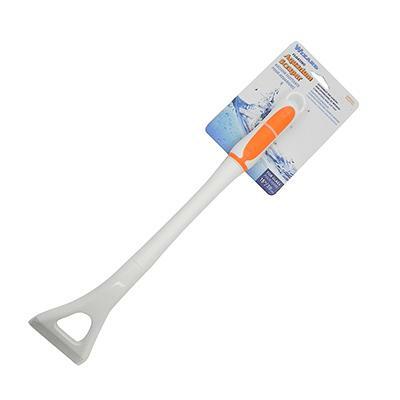 The Wizard Aquarium Scraper Tool is a 15 inch glass scraper that floats and can be used in both freshwater and saltwater tanks. This tool is not meant for use on acrylic or plastic; for glass use only! Excessive pressure can cause glass to scratch, so gentle use is recommended. Remember to rinse after using each time. This tool is not a toy, and is not recommended for children. Price is for one scraper.